Drunk Palm Beach Woman Charged With Crashing Into Sheriff’s Bailiff On Interstate 95 | Schuler, Halvorson, Weisser, Zoeller & Overbeck P.A. Florida Highway Patrol says a drunk woman crashed into a family of four, killing a passenger who was also a sheriff’s bailiff. News outlets report a 46-year-old has been arrested and charged with driving under the influence of alcohol and drugs in Palm Beach County crash, police authorities and FHP said. 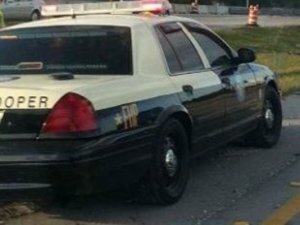 Palm Beach Police authorities and the Florida Highway Patrol officials say the 46-year old was driving on Interstate 95 when she crashed into a SUV carrying a Jacksonville sheriff’s deputy, a bailiff and the couple’s two children, the post reports. Troopers and the Florida Highway Patrol officials say the SUV then swerved into several lanes of traffic before flipping. They said the SUV passenger, 43-year-old Cathy Adams, was ejected from the vehicle and later died. Troopers said the driver, 50-year-old William Adams, was critically injured. The couple’s children, age 14 and 16, suffered minor injuries. It’s unclear if the 46-year old driver has a lawyer. According to the Florida Highway Patrol officials, investigations are still ongoing. Anyone with vital information concerning the car crash should ensure to contact either the Palm Beach Police department or the Florida Highway Patrol.